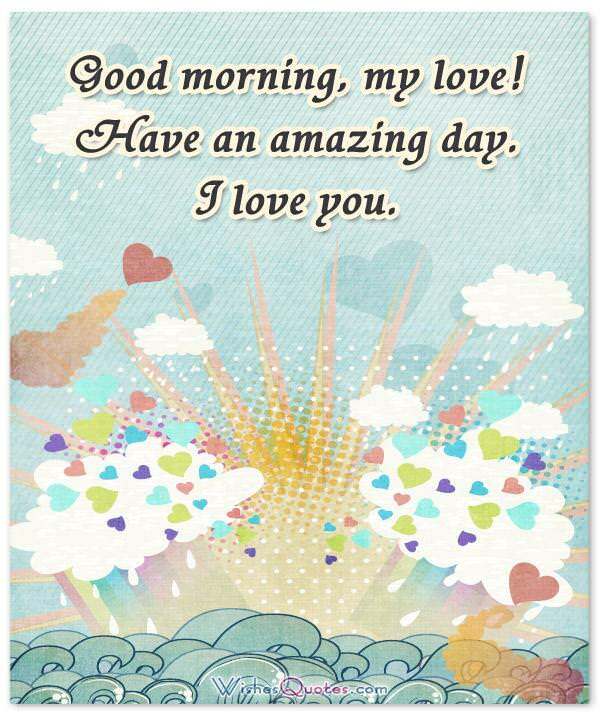 Nothing could be more heartwarming than waking up in the morning to find a loving message from your sweetheart. Words of love are the perfect way to put a smile on your girlfriend’s face and happiness in her heart. After a long night of slumber, she will really appreciate knowing she is on your mind. A good morning message to her can leave a positive feeling that will move her through the day with confidence. When those feelings of love ring out in your mind, write them down. Wait for the morning to convey your feelings to her in a loving message. Here are some ideas to get you started. Even when I close my eyes at night I see you before me. You are the star of my dreams. Hope your morning is wonderful. All of my days are filled with the wonder of you and your love. Good morning and thank you for being the special woman in my life. You’re the first thing I think about when I wake up. Good morning to the one girl that I will love forever. As I wish you a good morning, I want you to know that I love you dearly and always will. 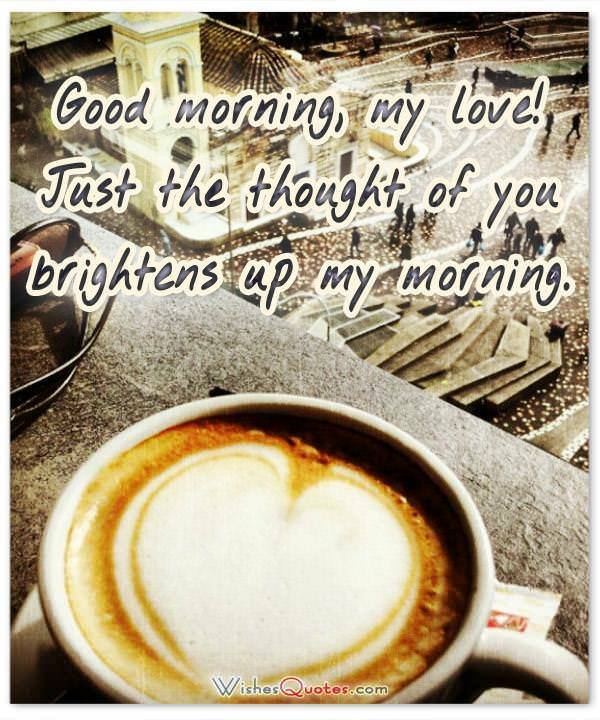 Wishing you a good morning because you make my mornings so good and my nights simply wonderful. I love you. You deserve a good morning wish and I’m sending one your way. It’s packed with love from me to you, so have an outstanding day. Although I’m not beside you to enjoy the morning sun, let my love embrace you as you read these words one by one. Have a good morning. Good morning sweetheart. I just wanted you to know that my love is as strong as the sun, and it will forever shine like it too. To make your morning bright, I thought I’d tell you that I love you with all of my heart. Good morning with a whole lot of love. 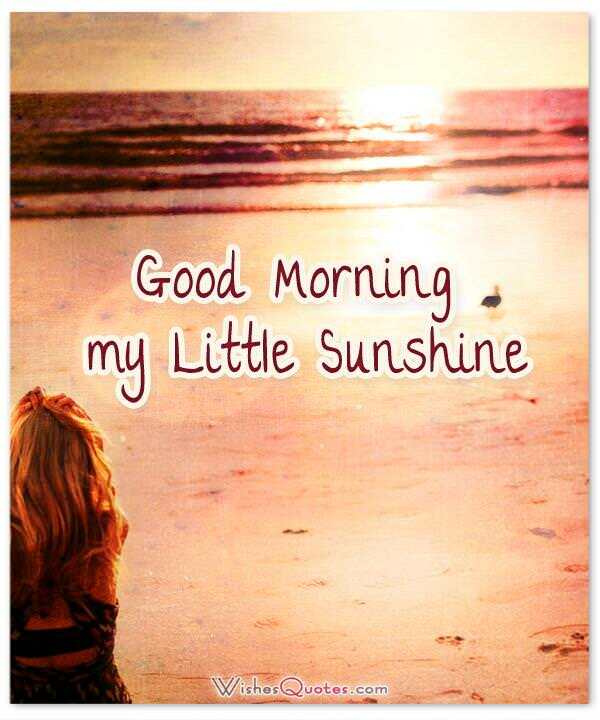 As the morning sun warms you and you open your eyes, let my love put a smile on your pretty face. Good morning sweetheart. Some people like to start their morning sipping coffee. I prefer to start mine by telling you that I love you. Love and good morning, honey. I wish you a good morning and I send my love to you. It couldn’t be much stronger and it couldn’t be more true. I want you to start the day with joy in your heart and a good morning message from someone who loves you like no other. Someone like me. I want to send my love to you every minute of the day. I think I’ll start by saying good morning and hope everything goes your way. When I woke up this morning the first thing I thought of was you. So I decided to wish you a good morning filled with lots of love. I’m sending you a wish for a good morning. Along with it is a bundle of love that’s meant for you alone. Hope your morning is a fabulous one. You deserve nothing but the best day possible, and that’s why I’m sending this good morning message to you, my love. My woman, my love, my most precious one, I wish you a good morning and a good rest of the day.